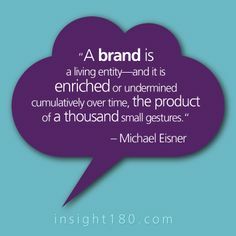 A brand is not just a website, business card, logo, or tag line. It is the sum of your customers experience. So do not leave anything to chance. Make sure you plan every aspect of your company and so that there is a synergy that creates your brand position. Here are the 20 do’s and don’ts of branding your fashion company. Do – Make sure you have something about your product that makes you stand out. Do – Create a brand experience. Do – Make sure all your labeling and packaging is the best quality you can afford. Do – Create a website that communicates your brand effectively. Don’t – Rely on only one method to get your name out. Don’t – Substitute materials and trims in production. Don’t – Change your look frequently, consistency is key. Look at Ralph Lauren, He always is true to his look. Don’t – Try to be so clever on your website that your customer can’t figure out what you sell. Do – Know your competition. This way you will know what they are doing and why. Do – Educate your salespeople so they know what your brand stands for. Do – Have focus, your brand must have a clear point of view. Do – Try to create an emotional connection to your customer through social media. Don’t – Try to make everyone happy. You can’t be everything to everyone. Don’t – Don’t make promises about your product you can’t keep. Don’t – Skip the sales process. Without building sales yours brand will fade away. Don’t – Advertise if you can only do it a few times. Advertising is only effective if it is consistent, often, and a long term strategy. Do – Research to precisely know your customer demographics and psychographics. Do – Make sure you have excellent customer service. Do – Use the best quality photography you can afford. Do – Take your time. You only get one chance at a first impression. Take your time, and do it right.